Okay, last week you made me go out and buy some of that Classic Elite Skye Tweed...now you're making me want to go out and buy some house plants! 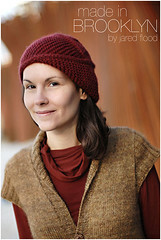 beautiful match - is that rowanspun? What a nice idea-still life with yarn--I think I'm going to try it...We should start a STILL LIFE WITH YARN SUNDAY--I chose Sunday because it is the laid back day--What do you think? Just right for the beginning of spring. Delicious colors! I love how you turned the yarn on its side- it picks up the shape of the leaves so nicely. 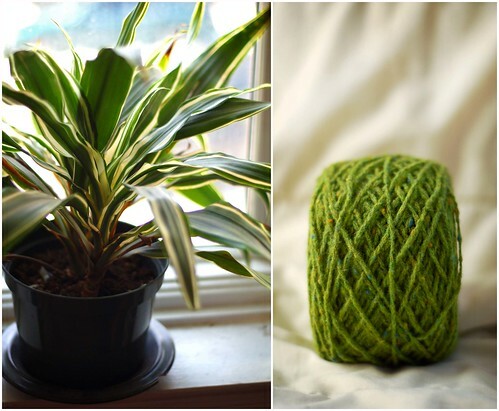 Inspired by the houseplant photo, I wonder what that particular yarn would look like partnered with a darker shade of green, much like a red/merlot combination. Hmmmm..... Just thinking out loud. Hey, do you have a copy of "the art of knitting", by francoise tellier-loumagne? 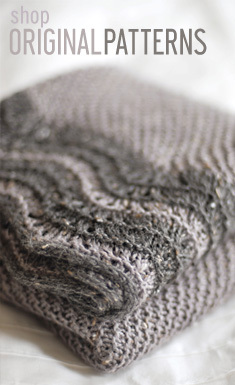 It's full of gorgeous pictures of textures and colours, mostly from nature, and corresponding knit stitches. I think you'd really enjoy it!